Spacious room. Comfortable bed. Comfortable pillows. Nice sized bathroom. Plenty of wardrobe space with coathangers. Full sized fridge. Very Friendly family run. Nothing too much trouble. We loved the clean and comfortable room, the location was quiet, and the hosts brought us beautiful watermelon every afternoon! The hotel owners were really nice and service minded. 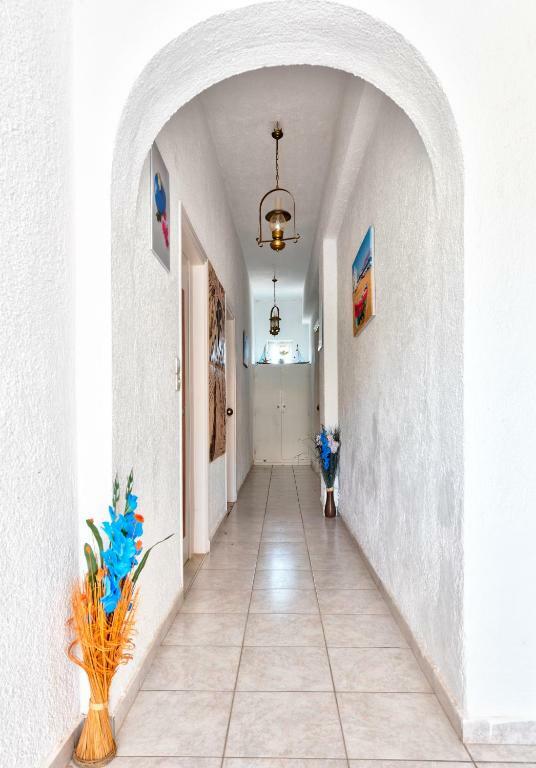 Great located and near to beach and restaurants. AC and wifi very good. Lovely typical Greek accommodation although rooms are basic where very clean and the owners very friendly and helpful. Accommodation is just a few minutes walk from the centre and shops. Nice house with a green garden. 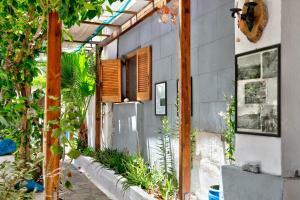 On a quite street but located close to shops, restaurants and the beach. Airconditioned and clean room and bathroom. Balcony overlooking the street. Friendly host. 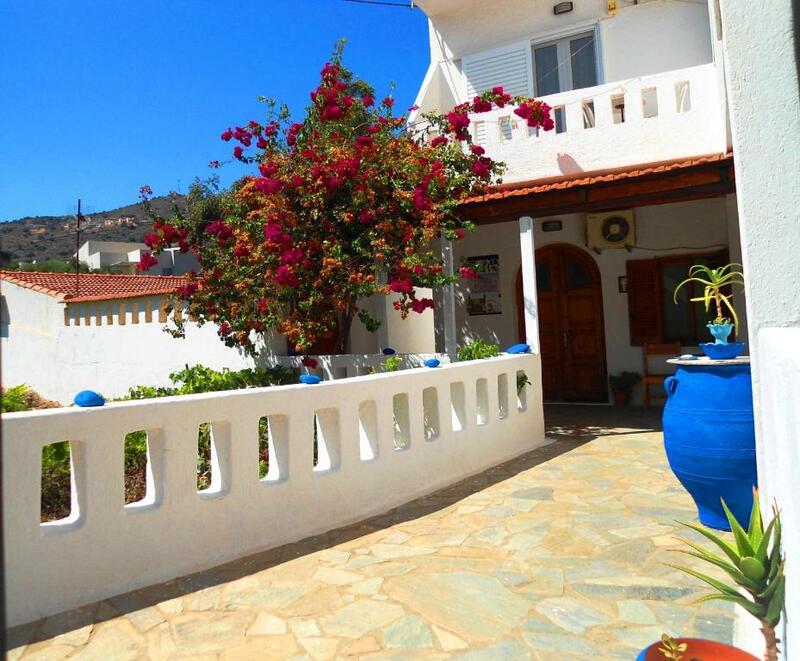 Perfectly sited for a short stroll to plenty of tavernas, shops and the harbour in Elounda. We stayed specifically to visit Spinalonga, and it was literally less than a five minute walk to the harbour to catch the first boat in the morning. Elounda is a lovely place to stay and beautiful to sit by the harbour in the evenings at any of the tavernas that sell delicious food. Amazing staff! 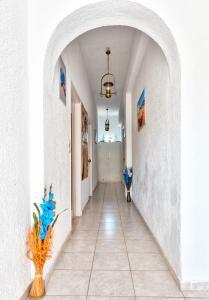 Beautiful room, balcony, excellent wi-Fi, good location! Antonis, zacaris, Mihai all very friendly and resourceful! They gave me tips about places to go and even a Greek coffee! Would recommend to anyone! Centrally located, very friendly and helpful. Staff went out of their way to please and we would be very happy to go back. Clean rooms bedding towels changed regularly. Traditional greek looking apartments. Lovely little seating area.Tony there on site to great us and send us off. 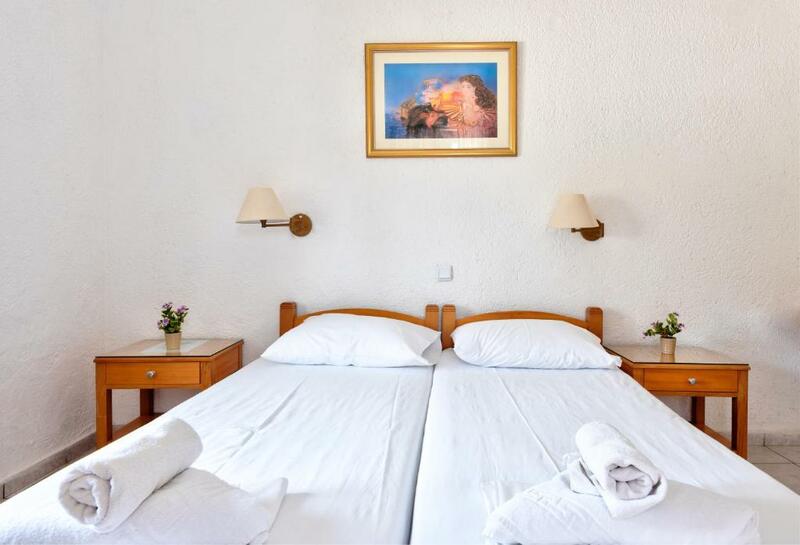 Lock in a great price for Elounda Oasis Studios – rated 8.8 by recent guests! Only 800 feet from the beach, Elounda Oasis Studios is a self-catering accommodations located in the seafront area of Elounda, in Crete. Free Wi-Fi is available. The air-conditioned studios feature a TV and balcony with mountain views. There is a kitchenette and a bathroom with a shower. 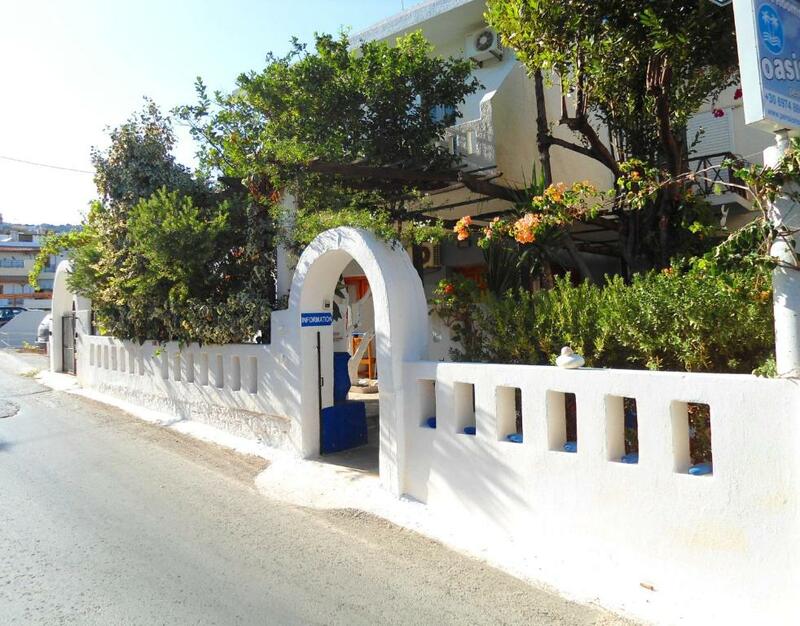 Restaurants and clubs are just a short walk away from Elounda Oasis Studios. The nearest bus stop is 800 feet away. Guests can enjoy daily 15-minute boat trips from Elounda to the popular tourist attraction of Spinalonga Island. Nikos Kazantzakis International Airport is 43 mi away. Free parking is available on site. When would you like to stay at Elounda Oasis Studios? 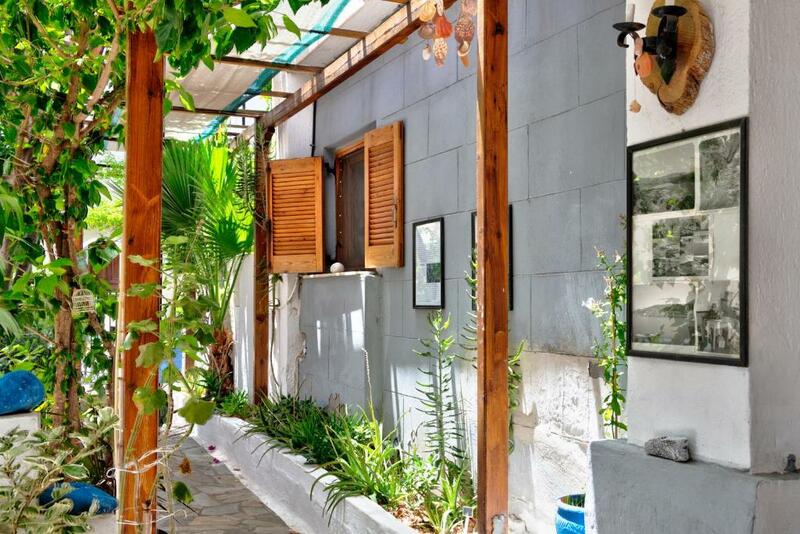 This air-conditioned studio features a TV and balcony with mountain views. There is a kitchenette with a refrigerator and kettle. The bathroom comes with a shower. House Rules Elounda Oasis Studios takes special requests – add in the next step! Please inform Elounda Oasis Studios of your expected arrival time in advance. You can use the Special Requests box when booking, or contact the property directly using the contact details in your confirmation. The shower curtain wasn't clean. The aircon didn't work in one of the rooms. The bed could be softer. Cooking facilities are basic but this is only a studio. Could do with upgrading the mattress. The mattress was a bit too hard. Could do with more utenstils a microwave. Also a hairdryer. The small extras such as washing up liquid/sponges, salt & pepper, the air con & ceiling fan, safe key, mosquito net door to balcony, plugs in the sink! All included whereas they are usually extra or not provided at all.